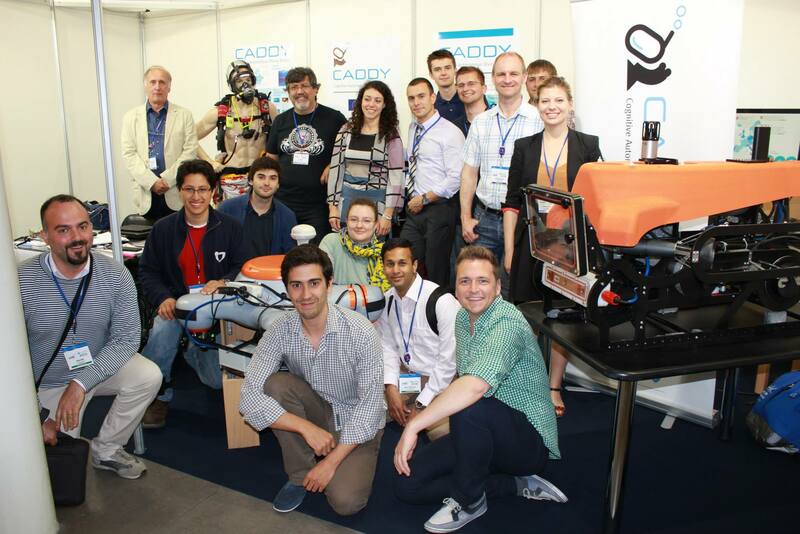 CADDY is a collaborative project funded by the European Community's Seventh Framework Programme FP7 - Challenge 2: Cognitive Systems and Robotics - under grant agreement n° 611373. Final EU FP7 CADDY Review meeting was held on 3rd March 2017 in Zagreb, Croatia. Project Coordinator and WP leaders presented last three years of CADDY project and all scientific and technical objectives that were successfully completed. Presentations were held at the University of Zagreb Faculty of Electrical Engineering and Computing and demonstrations of results were held in Brodarski Institute where all developed equipment was showcased to the reviewers. EU FP7 CADDY project has successfully passed the review :)! Photos are avilable in our Gallery. After three years, CADDY EU-FP7 project has come to its official end. All S&T objectives have been successfully completed and you can find more about CADDY project progress under RESULTS on our website or in CADDY project Executive summary. Nikola Mišković gave an invited talk "What are underwater robots used for?" at the Zagreb Energy Conference on 9th December 2016 at the Faculty of Electrical engineering and Computing, Croatia, using CADDY project as an example. 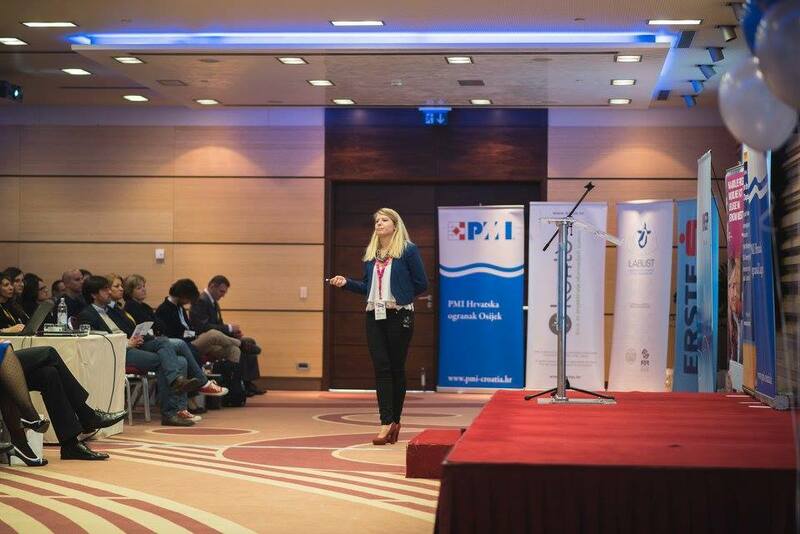 CADDY project was presented on 10 November 2016 at Project Management Forum organized by Croatian chapter of Project Management Institute (PMI Hrvatska) with the topic of how to get and implement a successful EU project. We discussed the main project management characteristics at the public institution with business representatives. 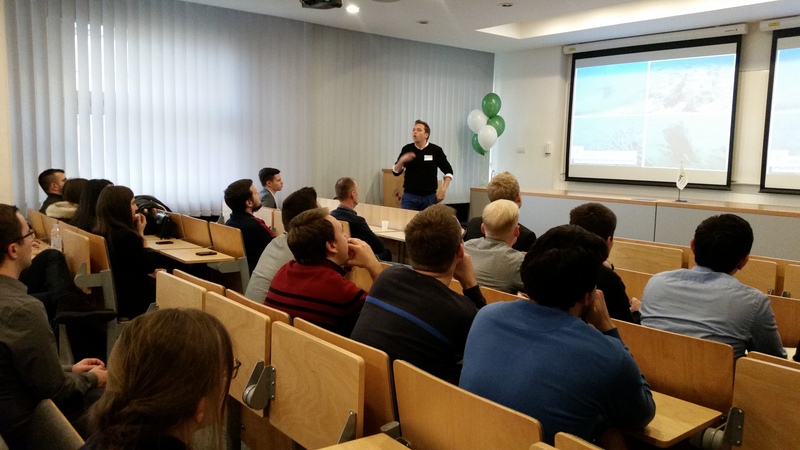 Members Anja Babić, Filip Mandić, Ivan Lončar and Marin Stipanov presented CADDY project and developed equipment - surface vehicle PlaDyPos and the underwater vehicle. DEMA show 2016 was targeted as it is the largest dive trade show with a very high participation level. The annual DEMA Show, the largest trade-only event in the world for companies doing business in the scuba diving, ocean water sports and adventure/dive travel industries, attracts hundreds of exhibitors and thousands of dive and travel industry professionals from around the world. In addition to providing an arena in which to conduct business and network, DEMA Show offers participants the most extensive education curriculum in the industry including DEMA- Exhibitor-Sponsored Seminars. CADDY results were shared with diving professional with a seminar entitled “CADDY: Underwater drone brings new technologies for diver safety” at room S230 on the 17th of November 2016 sponsored by DAN USA and presented by SM Egi from DAN Europe. Prior to the seminar, invitations were sent to companies that manufactures underwater technology products especially ROVs. By the end of the seminar 5 new members were recruited for the user board and already expressed the interest in commercialization of the product. Breaking the Surface 2016 summer school was held from 2nd until 9th October in Biograd na Moru (Croatia). BtS2016 was 8th edition and according to numbers the most successful one! 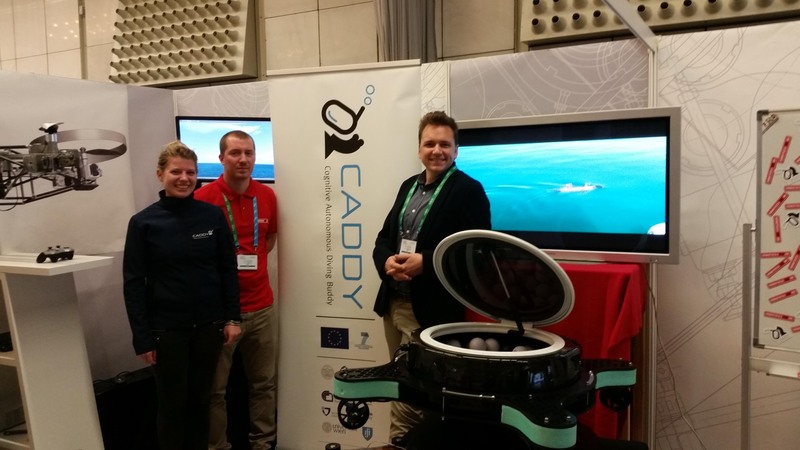 CADDY project and developed equipment was presented in front of more than 220 participants from various fields (marine robotics field, marine biology, archaeology, security, oceanology etc.). Except attending lectures, tutorials and demos from underwater robotics and its applications, CADDY representatives also participated in BtS programme novelty Innovation Tuesday - a day dedicated to lectures about creation of corporate spin-offs, on how to attract investments and tips and tricks in starting such a company in the form of Innovation Management Training. The European Researchers' Night (NEI) brings scientists and the general public together in an informal, playful and educational environment. The exchange of ideas and experiences that this initiative provides contributes to the clarification of what it is to be a scientist, of what is Science and what are the main current research topics. The European Commission, under the Framework Program for Research and Development, has been promoting and funding this initiative which takes place on the same day in several European countries and Israel. CADDY project was presented by IST team on Lisbon edition on 30th September 2016. LABUST won with CADDY an Innovation Award at Rijeka Nautic Show! 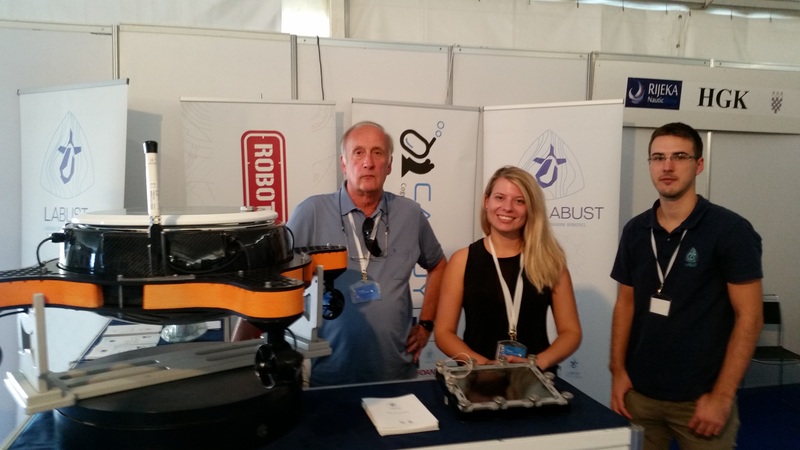 Members of the Laboratory for underwater systems and technologies (LABUST) Filip Mandić, Ivana Mikolić and Zoran Vukić have presented CADDY project and equipment at booth at the Rijeka Nautic Show 2016. LABUST has presented its own products developed in the scope of CADDY project: autonomous surface vehicle PlaDyPos and underwater tablet casing. Rijeka Nautic Show was held from 23rd until 25th September 2016 in Rijeka, Croatia. AIP Foundation and the Portuguese Ministry of the Sea promoted “Oceans Business Week”, a large business meeting of the Sea Economy. This was a space and a single moment where companies and organizations revealed the importance of the sea and oceans in the balance of global ecosystems, the conservation and utilization of marine resources, management of continental shelves and international connectivity. CADDY project was presented at LARSYS booth in the exhibition space which offered a high visibility for project promoting, catching the attention of international diving community. 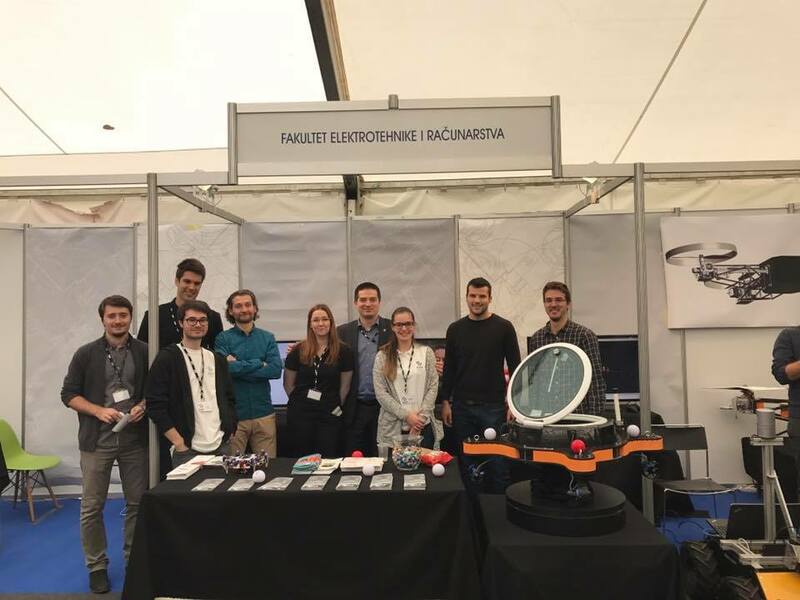 UNIZG FER LABUST members Nikola Mišković and Marin Stipanov presented CADDY project during the Student Autonomous Underwater Vehicles Challenge Europe (SAUC-E'16) that took place in NATO Centre for Maritime Research and Experimentation, La Spezia, Italy from 3 - 8 July 2016. 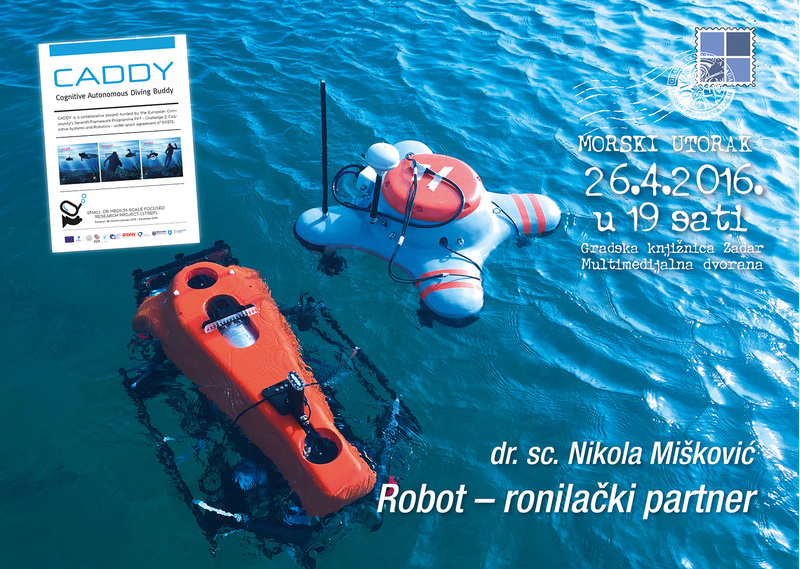 We organized a promotional booth and Nikola Mišković gave a talk "Humans and robots - buddies in the underwater". The most successful teams during the competition were awarded with free registrations for "Breaking the Surface 2016"! 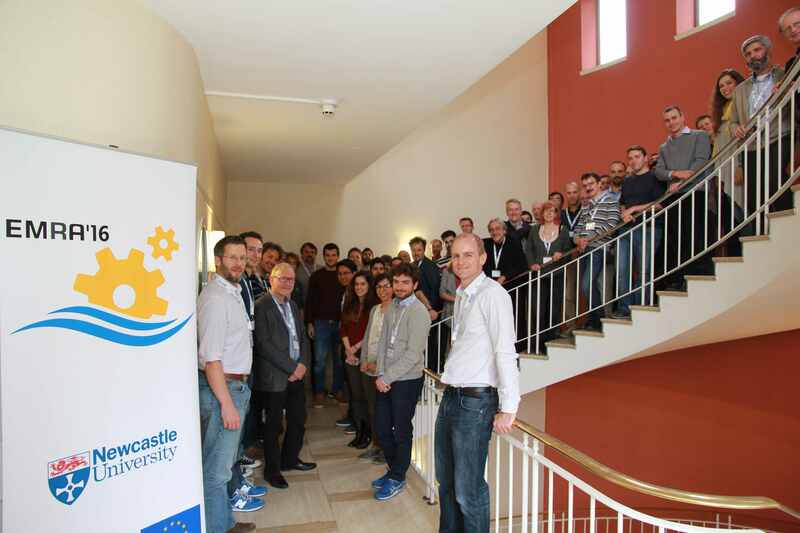 3rd CADDY workshop was organized as a part of the EMRA'16 - Workshop on EU-funded Marine Robotics and Applications. EMRA'16 followed successful events hosted by Consiglio Nazionale delle Ricerche - CNR (Rome 2014) and Instituto Superior Técnico - IST (Lisbon 2015). Newcastle University's School of Electrical & Electronic Engineering organized EMRA on 14th and 15th June 2016 in Newcastle, UK. Organised under EU projects EXCELLABUST and CADDY, EMRA brougth together a diverse range of speakers, from ongoing FP7/H2020 projects, industry, end-users and stakeholders. The interdisciplinary event provided an excellent opportunity for networking and cross-fertilisation of ideas in marine robotics, enabling technologies and applications. LABUST UNIZG FER organized the open-door event during Job Fair. LABUST laboratory presented CADDY project alongside the Laboratory for Robotics and Intelligent Control Systems - LARICS and the Laboratory for Autonomous Systems and Mobile Robots - LAMOR as part of the robotics@fer.hr brand. On Tuesday 26.04. Asst. Prof. Nikola Mišković (UNIZG FER, LABUST) presented CADDY ‬ project in front of the general audience in Zadar, Croatia. The lecture is organized by Zadar City Library (Gradska Knjižnica Zadar) in the scope of regular evening events under the name Morski utorak - series of lectures held once or twice a month with the themes related to life in the sea. Evenings are designed in the form of forums, lectures, exhibitions, literary events and book presentations, film, drama and music performances, etc. including some of the most important topics: underwater archeology, maritime navigation, fishing, marine ecology, maritime heritage and shipbuilding, yachting, marine adventure, poetry and prose. Read more about the events (on Croatian) here, and pictures are avilable in our Gallery here. 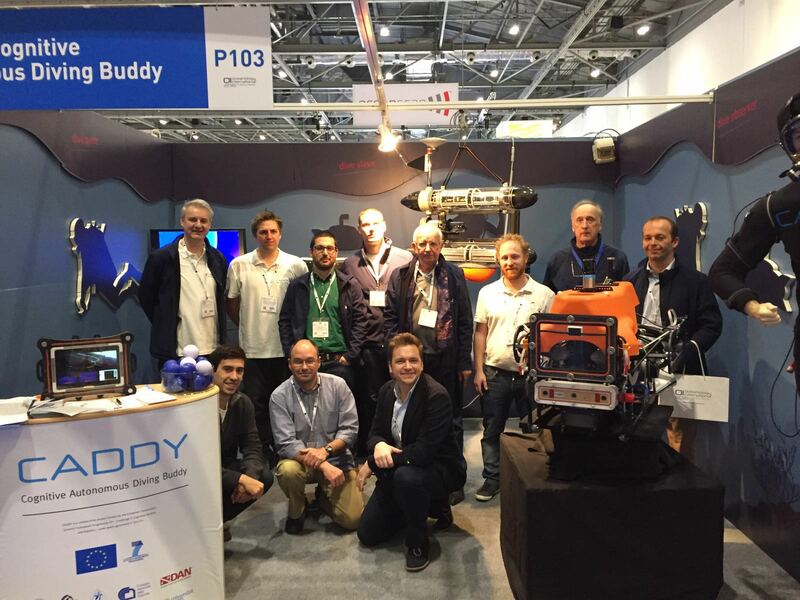 CADDY project was exhibited and presented at European Robotics Forum - ERF 2016 in front of more than 650 visitors and 20 exhibitors. ERF2016 was held from 21st until 23rd March 2016 in Ljubljana (Slovenia). This 3-day event is a meeting point for researchers, engineers, managers and a growing number of entrepreneurs and business people from all around the world. CADDY was presented by exhibited equipment used in the project at UNIZG-FER booth and through presentation in the scope of Robotics in the Western Balkans and in Marine Robotics session by Asst. Prof. Nikola Mišković. Check photos from ERF2016 in our Gallery. CADDY has, alongside more than 520 exhibiting companies, presented at the world's premier event for marine science and ocean technology Oceanology International. The Oceanology International was held from 15 - 17 March in London, UK and it gathered more than 8,400 industry professionals. Photos of our booth are avilable here. CADDY software integration trials, review meeting and demo were held in Lisbon, Portugal from February 25th to March 4th 2016. 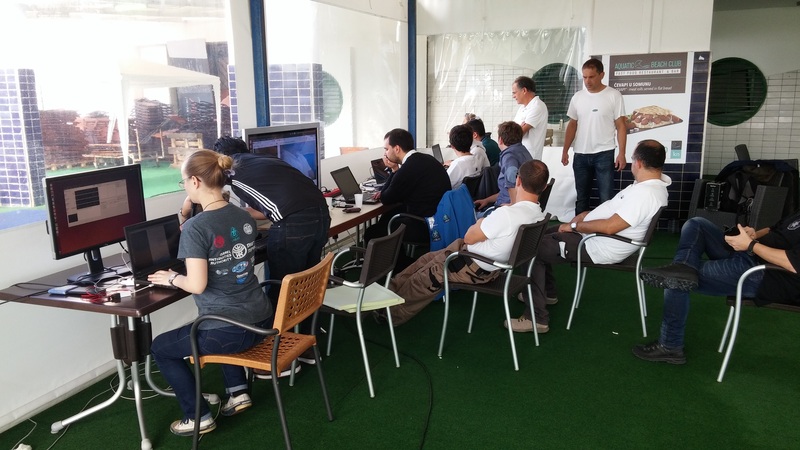 The objective of integration trials was to set up and test all integrated systems and communication first in simulation using a network and the various teams' computers, then on real vehicles in the water. By the end of the simulations, all objectives were achieved using mission files, configuration parameters, and controller gains that will be used on real vehicles. Then, the teams proceeded to do experiments using the actual CADDY vehicles. A demonstration for reviewers was held, including initiating a mission using diver hand gestures and the vehicles executing a lawnmower pattern. During the review meeting, each WP leader presented achievements in second CADDY period to the Project Officer and reviewers from European Commission. The meeting was moderated by Project Coordinator.CADDY has successfully passed the review and is now preparing for third year when the project will end. CADDY was one of selected projects to represent Faculty of Electrical Engineering and Computing (FER) at University of Zagreb Fair. The University of Zagreb Fair is organized for high school seniors, university students and all other interested visitors. The Fair aims to inform prospective students about courses of study, the faculties' achievements in fields of science and technical equipment, curricula, undergraduate, graduate and postgraduate programmes of study, creative career opportunities, new opportunities offered by private entrepreneurs and companies, student accommodation in Zagreb, student life, and many other interesting details. It was held from 12th till 14th November 2015 in Student Centre in Zagreb, Croatia. CADDY was presented by members of Laboratory for Underwater Systems and Technologies - LABUST, coordinator of the project. 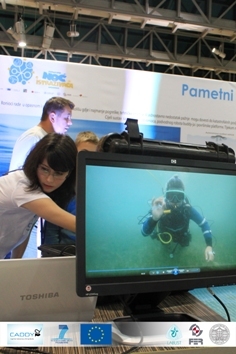 Visitors could observe and test functionalities of underwater vehicle BUDDY, surface platform PlaDyPos and DiverNet. Pictures are available in Gallery here. CADDY project was presented in the scope of European Researcher's Night in Split, Croatia. The European Researchers' Night took place - simultaneously - on 25 September, in 280 cities across Europe and beyond. It attracts over 1 million people every year. This mega event offers visitors a unique opportunity to meet researchers and take part in science activities aiming to showcase both the fascination of research as a career and its significant societal impact. 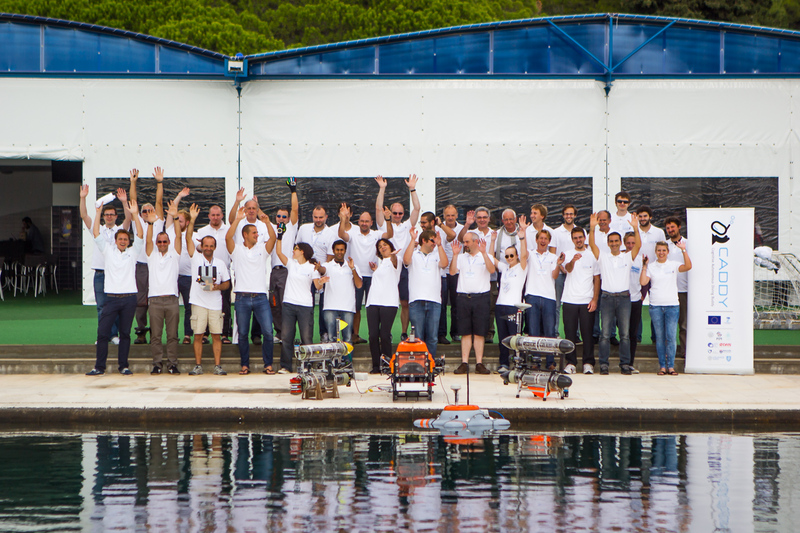 CADDY team invites all researchers and users of marine robotic technology to attend EMRA 2015 workshop that will be held 18-19 June in Lisbon, Portugal. The workshop will summarize current EU FP7 and H2020 projects on marine robotics and provide a platform for marine stakeholders to share and discuss current technological challenges and achievements. To researchers, EMRA’15 will offer the opportunity to disseminate current work and highlight new application areas that warrant further R&D effort. To marine stakeholders, EMRA’15 will allow for the cross-fertilization of ideas and offer novel approaches to meet future challenges in ocean exploration and exploitation. More details are available at EMRA'15 website. Photos from event will be available in our Gallery. CADDY project was presented through lectures given by representitaves of all CADDY partners at the conference and also at CADDY project's booth in the exhibition space. CADDY user board member Innovasub is presenting Caddy project at DEMA Show 2014 taking place November 19-22 at the Las Vegas Convention Center in Las Vegas, Nevada. DEMA Show attracts manufacturers, destinations, wholesalers and service providers all dedicated to the diving, action watersports and travel industries. Pictures are available in Gallery - ARCA 2014. CADDY team participated in 6th international Interdisciplinary field workshop of marine robotics and applications Breaking the Surface 2014. Project coordinator Nikola Mišković presented CADDY project idea and work so far, and LABUST team presented CADDY on demo site. On Friday 10th of October CADDY team gathered for technical meeting. Pictures from the event are available in Breaking the Surface 2014 album. Pictures are available in CADDY Gallery. 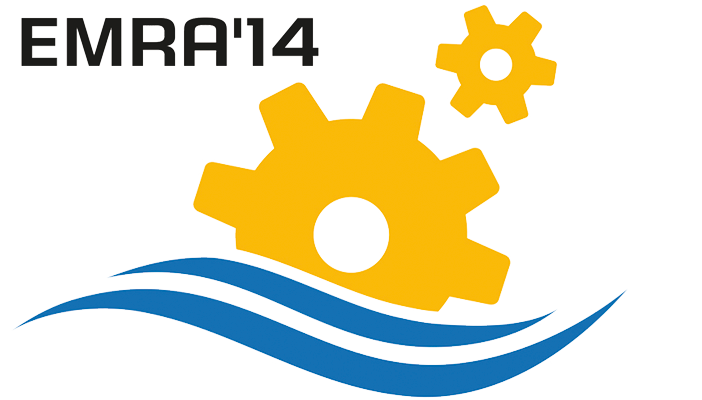 CADDY team is pleased to invite researchers and users of marine robotic technology to EMRA 2014 workshop, Rome, June 9-10 2014. The workshop shall summarize current EU FP7 marine robotics research including CADDY project. More details are available at EMRA 2014 website. 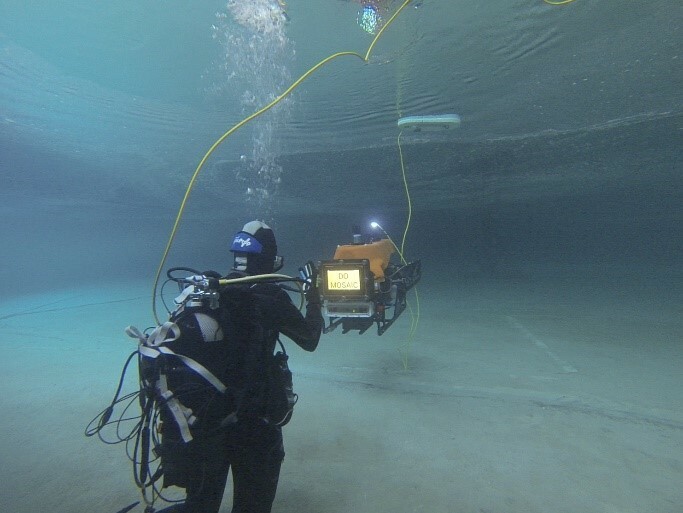 Second data gathering trial was in Padua, Italy, at Y-40 The Deep Joy pool. The focus of this trial was on diver posture and behaviour estimation with DiverNet and video. More information availabne on Caddy events. 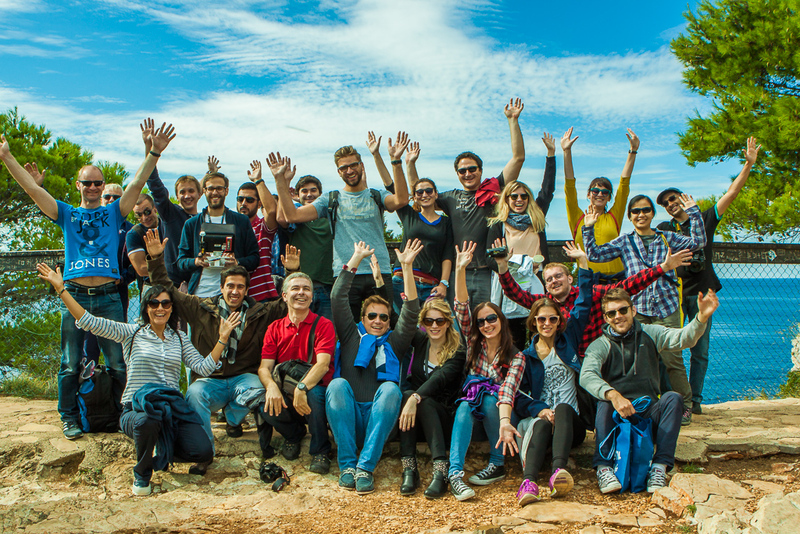 Initial data gathering experiment was conducted in Caska on island of Pag, Croatia. Stereo camera, multi-beam sonar and DiverNet were used in tests with six divers. More informations are available on Caddy events.